Members of Student Ambassadors wrote personalized cards to current members of our incoming freshman class, the Class of 2022, to welcome them to the Mater Dei family! 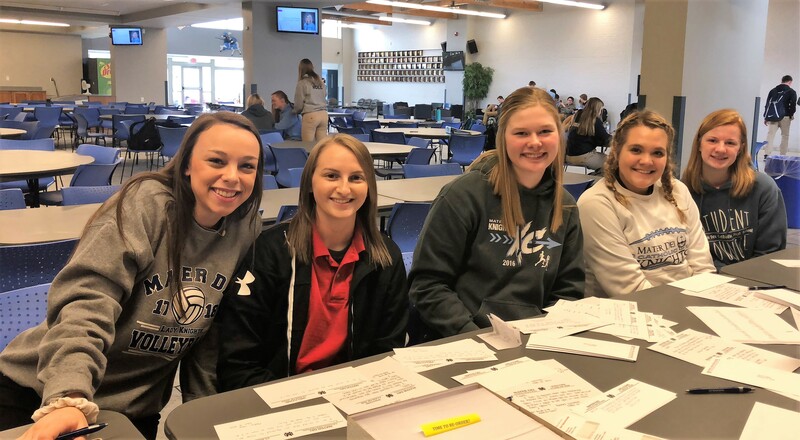 Pictured writing welcome cards to the members of our incoming freshman class are Student Ambassadors (from left) Baylee Richter, Madison Stone, Emily Wiegmann, Maci Dumstorff, and Katie Toennies. 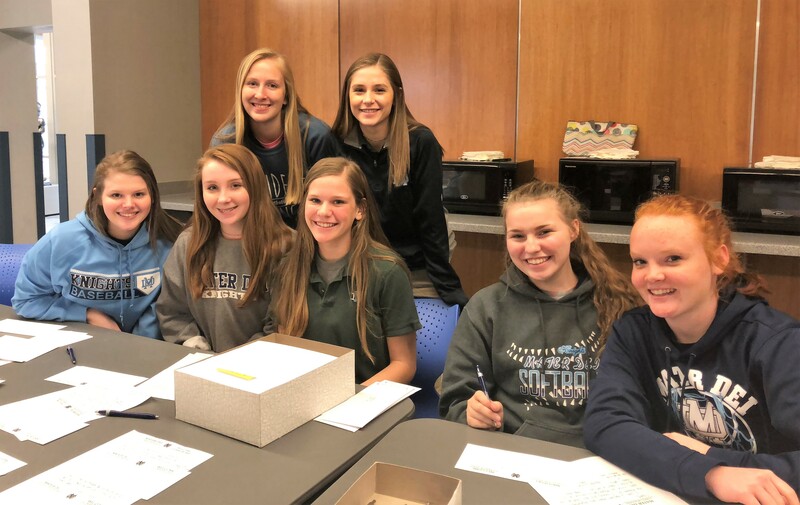 Pictured writing welcome cards to the members of our incoming freshman class are Student Ambassadors (seated, from left) Regan Berndsen, Katelynn Daniels, Jordyn Priebe, Chloe Higgins, Claire Kampwerth; (standing, from left) Amy Boeckman and Ciara Perkes.